Princess Belle is unforgettable as the lead in the Disney classic, Beauty and the Beast. Her gentle, kind and intuitive nature open her up to being able to genuinely someone who isn’t conventionally handsome. Her beautiful personality lends itself to a medium muted pink lipstick tone to elegantly accent her fair features. Cinderella’s kind, compassionate demeanor reveals a determined spirit that continually shines through despite her challenges and obstacles. In the end, despite these obstacles, she finally connects with her Prince. Cinderella’s bright personality and pretty blonde locks lend themselves to a classic scarlet matte color lip tone. Ariel’s unmistakable fiery red hair, green tail, lavender seashell bra and feisty temperament make her the belle of the sea. These striking features and attributes of this aquatic Princess also lend themselves to an equally compelling lip color: cherry red. Princess Tiana of The Princess and the Frog fame dreams big and strives to one day have her very own restaurant in the jazz-infused French Quarter of New Orleans. Her persistence, jazzy personality and beautiful dark, luminous skin are ideally accented by a chic, classy raisin colored lip tone. Princess Jasmine’s dark hair, exotic look and imaginative personality have inspired countless women. Her positive attributes and qualities are gorgeously accented by an alluring burgundy lipstick. Native American Princess Pocahontas’ outgoing nature and undeniable appeal have made this historical figure an object of ongoing admiration. Her lush lips would be beautifully enhanced by an attractive red lipstick with a shimmering, iridescent, frosty finish. Princess Aurora, also known as Sleeping Beauty, is one of the classic Princesses of all time. Her blonde hair framing beautiful, refined features could be perfectly accented with an attractive shade of coral lipstick. One of the first famous Asian princesses, Mulan’s tenacity and striking looks make her unforgettable. Her witty, outspoken lips might be beautifully adorned with a plum colored lip shade. Snow White is another classic Disney Princess for the ages. As such, it would be difficult to recognize her without her signature glossy ruby red lipstick. The contrast of this vibrant tone against her fine ivory skin and dark hair color brings her look together beautifully. Rapunzel’s long long blonde locks and unending thirst for and belief in romance are only part of what makes her special. Princess Rapunzel is also naturally highly creative and intuitive, making classic pink the ideal lip color tone for this fair Disney legend. 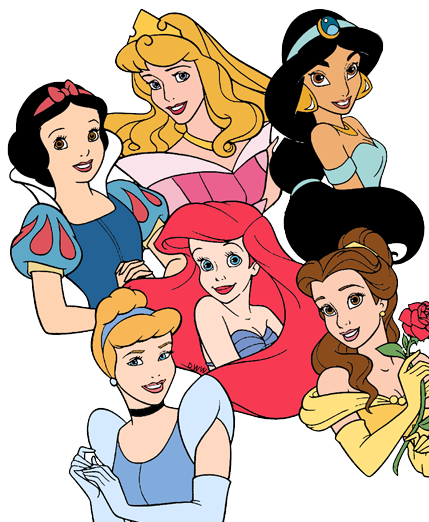 Princess Meridia of Scotland may be less recognizable than some of the other Disney Princesses listed here, but she is one of the first Disney female leads and truly a breath of fresh air onscreen. Her amazing archery skills, adventurous nature, warrior spirit and striking red locks lend themselves to accenting her lips with a unique and unforgettable blood orange toned lipstick. The daring and romantic Princess Anna exudes kindness and optimism even as she is striving to unlock the Arendelle Kingdom from eternal winter. Her fearless yet romantic nature makes a deep melon lipstick tone ideal as the finishing touch on the visage of this inspiring Disney Princess.